They couldn’t believe their eyes! 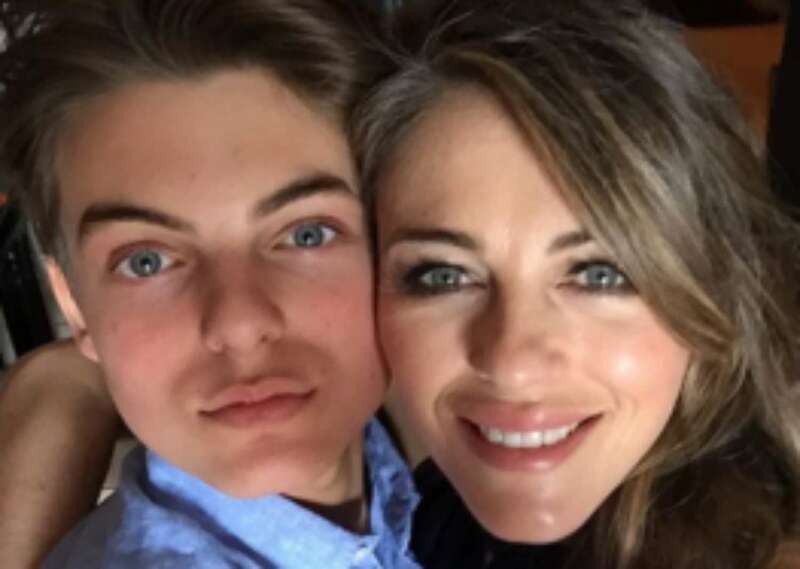 Elizabeth Hurley’s 17 year old son looks so much like his mom that fans nearly thought they were seeing double when the actress posted a sweet few pictures on his birthday. The teen named Damien even rocked a similar long hairstyle! It was never a secret that Elizabeth and Damien were pretty much each other’s doppelgängers but their resemblance has never been more uncanny than in the newest photos the woman shared on her son’s birthday earlier today. Elizabeth and Damien can be seen wearing the exact same bright smile in the first photo included in the tribute. Furthermore, their matching hair also helps a lot in making them look like the same person. And since the second pic was a throwback to when the boy was much younger, fans noticed that even at the time, they used to look like twins. Followers were quick to wish Damien a very happy birthday but many of them also pointed out their resemblance. The legendary singer is actually not the boy’s uncle but his godfather.